SE Calgary Chiropractor Dr. Jeff Koep has always been interested in how the human body works and its innate ability to heal itself. Driven by that knowledge and his desire to pursue a profession in which he could help people, Dr. Jeff chose to attend chiropractic college. Chiropractic is all about allowing the body to express its fullest potential. In practice since 1999, Dr. Jeff received his Doctor of Chiropractic from Canadian Memorial Chiropractic College in Toronto. His education reinforced his fascination with the human body, and he particularly enjoyed his anatomy classes. Dr. Jeff is certified in pediatric chiropractic care through the International Chiropractic Pediatric Association (ICPA). He has a special commitment to the young people in his practice, saying, “It’s easier to keep a child healthy than to fix a broken adult.” He finds it gratifying to see many children he has adjusted grow up to be healthy young adults. 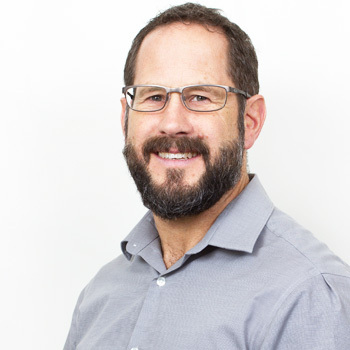 Dr. Jeff is a member of the International Chiropractors Association (ICA), the Canadian Chiropractic Association (CCA), and the Alberta College and Association of Chiropractors (ACAC). Dr. Jeff is married, with two sons. He is an avid participant in CrossFit, a strength and conditioning program that mixes aerobic exercise, calisthenics, and weightlifting. Get to know more about Dr. Jeff when you book your next visit with us. Make a choice to achieve your best health – contact us today!